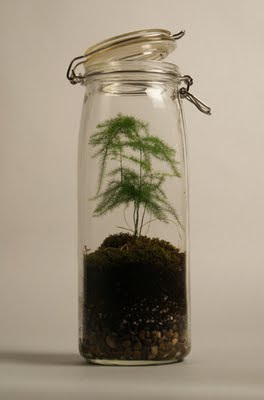 Peep these lovely mature bottle terrariums by LUCAS BRANCALION (Toronto, Canada) as featured at kitkadesigntoronto.com. I spy some rabbit's foot fern, selaginella and some venus fly traps but there are a few plants I can't name. 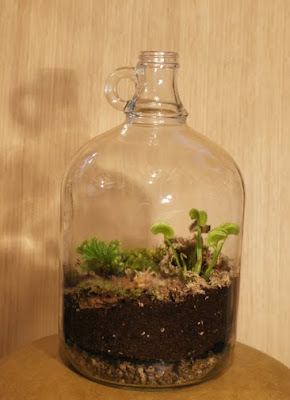 Great selection of containers and really great examples of how neat bottle terrariums can be when given the proper care. Apparently Lucas' own website is under construction right now but I hope that gets live ASAP. We'd like to see more!